There is a lot to know about your electric water heater tank and the plumbing geek knows it. Continue reading "Water Heater Tank"
Water heater dip tube, what is it and how does it work? Understand this part of your water heater and what hapens when it fails. Continue reading "Electric Water Heater"
Find your water heater info here, the plumbing geek has installed and serviced well over a thoughsand water heaters. He has seen it all so he can help you understand your water heater.. .
Continue reading "Water Heater Info"
Angle stop is what plumbers call the service valve that controls the flow of water to fixtures. This old urinal, a vintage Crane Pedestal urinal that mounts to a four inch toilet flange and flushes with a Sloan Flushometer valve. 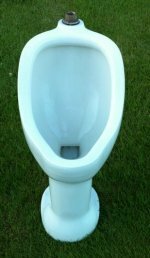 Continue reading "old urinal Vintage Crane"